This past weekend I shot a beautiful wedding in Greenwich, CT for a beautiful couple. The story of how they got engaged and the ring Rachelle received was so heart-warming and lovely it was easy to shed a tear. But for me the part that really touched my heart was when the officiant talked about the wish for all couples to be able to legally marry their sweetheart. This wedding was between a man and a woman but they felt compelled to voice their hope for marriage to be legally recognized for all couples no matter who their life partner was. My heart was filled with love and as the rain poured down outside the sweetest tent of all tents I thought of my own sweetheart and how we got legally married seven years ago. 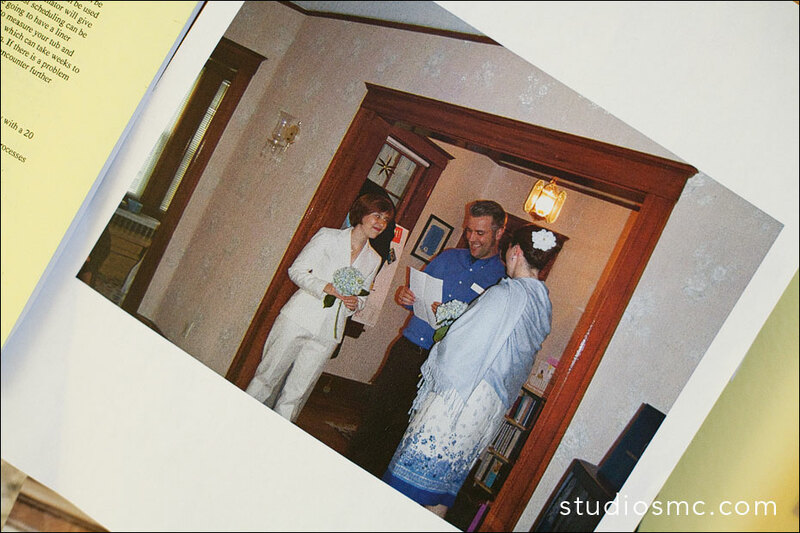 In our apartment right outside of Boston we invited our families and two friends to celebrate our marriage, legally. There wasn't a lot of hoopla or beautiful details like we had for our first wedding the year before, but Brett did make her dress and my cousin brought us each a hydrangea to remind us of our Cape ceremony. It was perfect. Our family took a few photos of us and somewhere those files live, but for now I will share with you a photo I have printed on regular copy paper and hangs on my office bulletin board. It is a moment in time seven years ago today when Brett and I said "i do" and under the Commonwealth of Massachusetts we were pronounced married. It was one of the most profound moments in our life together and we can only hope every person who desires to marry their life partner will be given the chance to do so.